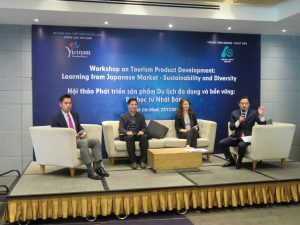 The ASEAN-Japan Centre co-organized “Workshop on Tourism Product Development” in Ho Chi Minh City, Vietnam and “Tourism Marketing Seminar” in Mandalay, Myanmar. The objectives of this workshop and seminar were to provide necessary knowledge to attract Japanese tourists and also to facilitate the implementation of ​​MRA-TP (Mutual Recognition Arrangement on Tourism Professionals). 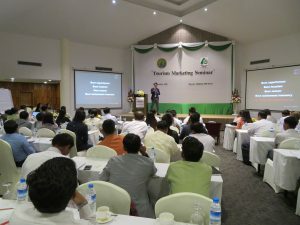 More than 180 people involved in tourism and hospitality industries attended the workshop/seminar. In Vietnam, after each presentation, an open forum was conducted and attendees participated actively. In Myanmar, marketing methods were introduced by evaluating tour pamphlets for the Japanese market.